3 in 1 Tote Bag Pattern. 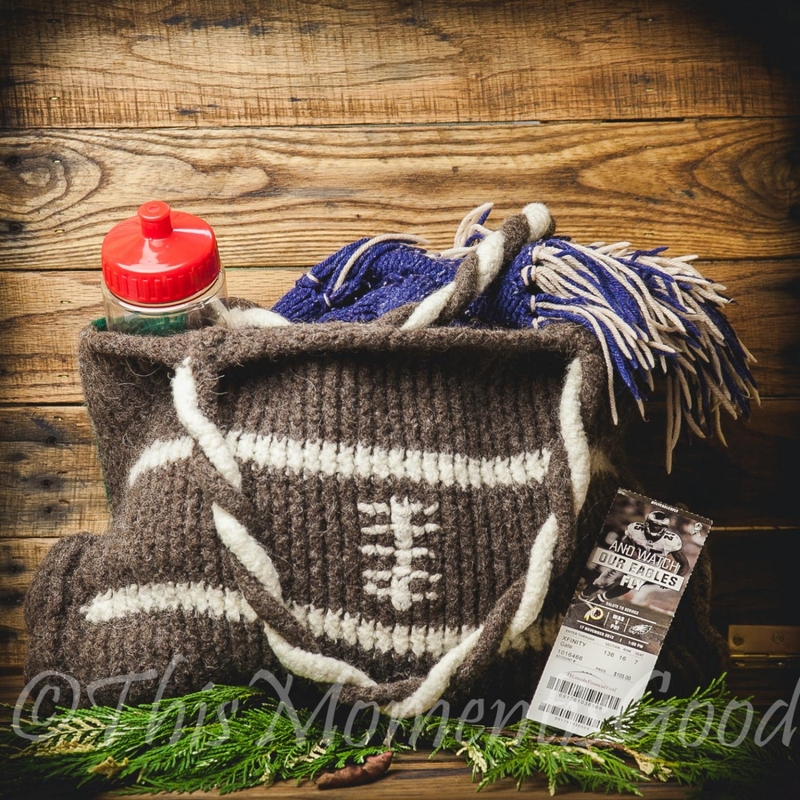 Double sided loom knit tote perfect for game day. One side features a field design complete with the 50 yard line. The other side a football design. 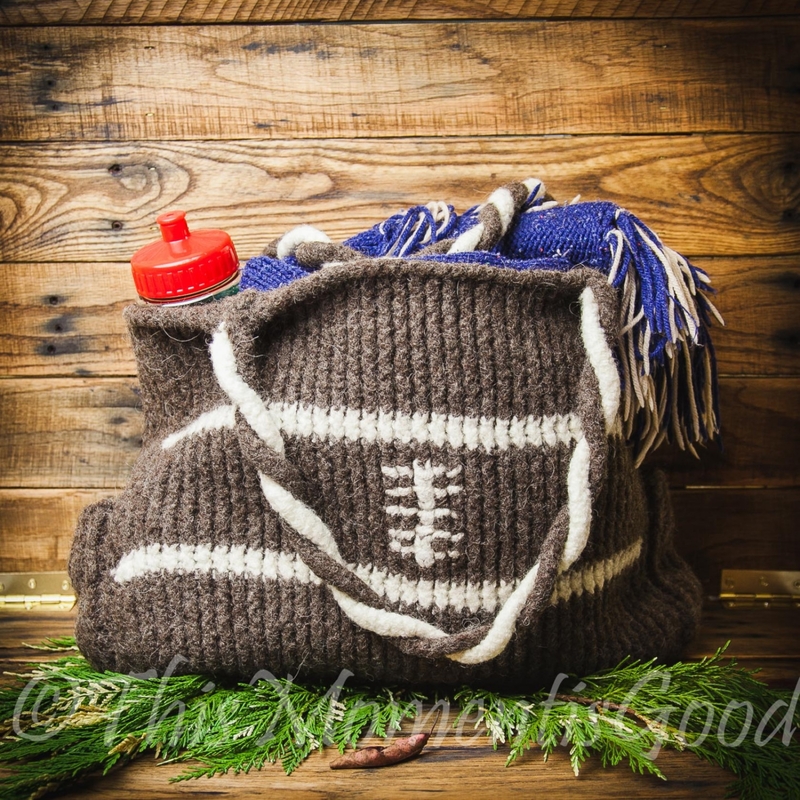 Loom knit handles and Side pockets complete this pattern. 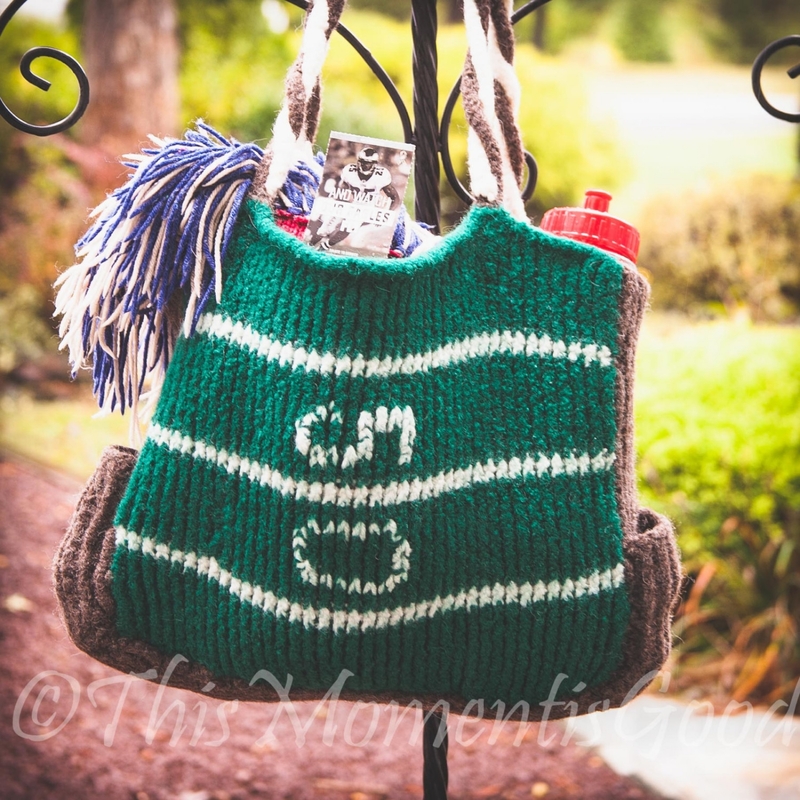 Easy e-wrap stitch makes fast work of this fun tote, making the pattern beginner friendly. 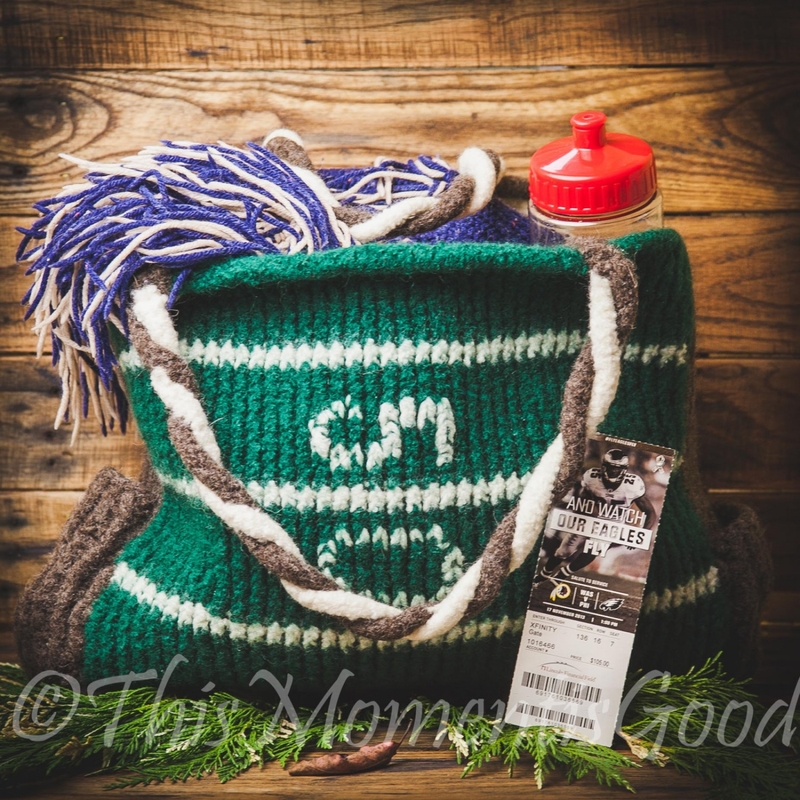 The bag can be made using just 1 panel or both, giving you 3 bag options! This pattern makes a large, roomy tote bag. 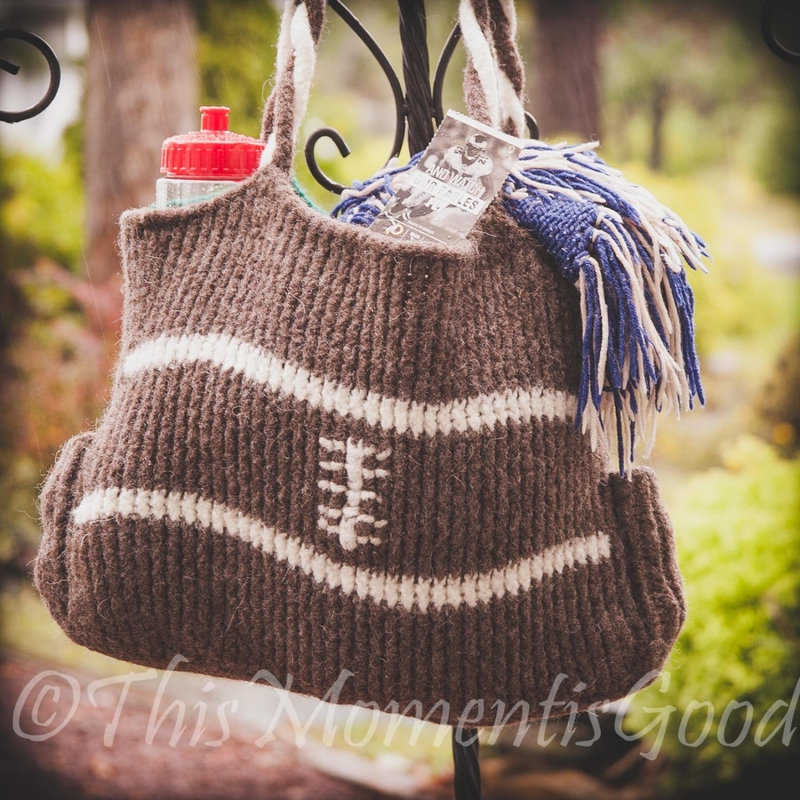 It's perfect for game day tailgating or a project bag for the Football Fan in your life! Final measurements of Bag (after felting): 11”h x 17 ½”w x 4”d. Bag is semi-felted using one short cycle in the washing machine. Level: Beginner (this pattern does require seaming).